Three American scholars of the EU explain what Americans should be prepared for after Britain’s vote. Prime Minister David Cameron announced early Friday that he will step downin three months time. Unwinding the union will be a messy process that will take months, if not years, and have broad political and financial impacts. The pound dropped in value on the London exchange early Friday morning. We asked three American scholars of the EU to tell us what Americans should know about the vote. Only if we look at Britain without comparing it to its European neighbors. Up until 2014, Britain was relatively free of the Neo-Nationalist parties that were gaining traction across the continent. It had its flirtation with right wing parties but they had virtually no electoral salience. But then the UK Independence Party (UKIP) led by Nigel Farage made Euroskepticism its calling card. It had support from movements such as Britain First which took up the anti-migration theme and left UKIP to speak mainly about Europe. In the spring 2015 European Parliamentary elections, UKIP was the leading party. However, if we look comparatively across the continent, the results are less surprising. National referenda have not been kind to the EU. In 2005, both France and the Netherlands voted to reject the proposed European constitution. Greece voted in summer 2015 to reject a debt re-structuring plan proposed by the EU. In spring 2016, the Dutch voted in a minor referendum against extending trade benefits to the Ukraine. Citizens of European states do not like the EU. They have not been pro-Europe for at least the last 10 years — if ordinary citizens ever were. The triple crises of 2015 — debt, refugees, and security –hit the continent hard. British citizens were surely looking at their neighbors across the channel and not liking what they saw. Given this context, David Cameron’s decision to put membership in the EU to a popular vote was an extreme and foolish political miscalculation. The ultimate cost may be the collapse of EU. Marine Le Pen, National Front leader in France has been calling for Frexit for a long time. Other countries may follow Britain’s lead. Analysts argued that the Brexit campaign revealed a chasm between locals and cosmopolitans. They saw two Britains – a highly educated and mobile group and an older place-bound group left behind by globalization. Ironically, this vote will only reinforce that division in the UK and across Europe. Mabel Berezin is a Professor of Sociology at Cornell University. She is the co-editor ofEurope without Borders: Remapping Territory, Citizenship, and Identity in a Transnational Age and the author of Illiberal Politics in Neoliberal Times: Culture, Security and Populism in the New Europe. The Brexit outcome is, to those who voted “remain,” a Shakespearean tragedy. The UK’s relationship with the institution created by its European neighbors has long been fraught with seeds of discontent. Squabbles over payments to the EU’s budget, complaints by small businesses about regulations emanating from Brussels, opposition to the expansion of policy-making beyond trade, worries about handling financial crises, and anger over immigration both from other member states and lands beyond finally delivered the result that the “leave” campaign sought . While virtually every analyst expected a close outcome, the result is shocking financial markets and companies. Eventually the dust will settle, currency and stock markets will stabilize, and a “negotiated divorce” will take place over the next two years. This will be an important time for U.S. companies to reassess their European strategy and operations. U.S. companies have $588 billion dollars invested in the UK. That represents 23 percent of U.S. corporate investment in the EU. Now the UK is likely to see its position diminish as a favored launching pad to enter the European market. With trade barriers, mainly tariffs, likely to rise for products exported from the UK to the 27 other EU countries, the UK will be a less desirable location for U.S. firms. Perhaps more important will be the disappearance of London’s voice in EU matters that are of concern to U.S. commercial and foreign policy interests. London’s position on financial services regulations issues more closely match Washington’s than that of any other European country. These include the imposition of sanctions on Russia, relations with the Middle East, and the still-under-negotiation Transatlantic Trade and Investment Partnership – which is now almost certainly dead as a result of the Brexit vote. 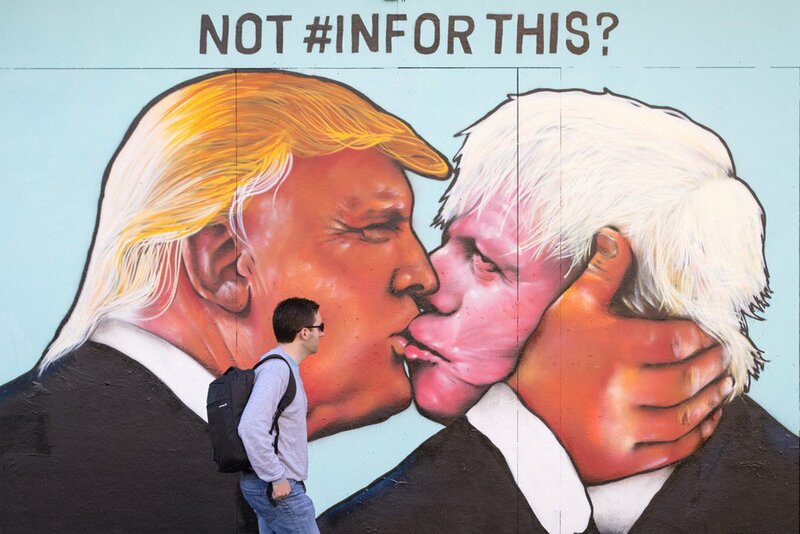 It is all but certain that the UK will be a less reliable ally to U.S. interests, not just in Europe, but globally. By the end of President Clinton’s or Trump’s second term in the White House, the phone number for 10 Downing St. will be further down on the president’s call list. Terrence Guay is clinical professor of international business at the Smeal College of Business at Pennsylvania State University. This year he published European Competition Policy and Globalization with co-author Chad Damro. U.S. grand strategy has just been dealt a double whammy. Not only has America’s strongest ally in Europe just voted to relinquish its seat at the table in Brussels, but the new reality of Brexit means that decision-makers in Washington will now be having to fight fires in Europe instead of catering to more pressing geopolitical exigencies. The U.S. has long depended on a united, strong, and vibrant Europe to help anchor the rules-based international order that it hopes will persist long into the 21st century. And since joining the European Economic Community in 1973, Britain has been an effective ally in the service of this goal, always a reliable proponent of an enlarged European Union organized around liberal economic principles. Without London as an interlocutor, the U.S. will have to undertake the costly endeavor of shifting its diplomatic footprint from London to Berlin, Paris, or Brussels. How to push through the free trade deal between the U.S. and EU? How to make sure that Europe does not bend in the face of Russian predation? Britain is now far less able to help deliver on such issues. Even more worrying from the U.S. perspective, however, is the possibility that more EU nations will begin to contemplate leaving the organization. This danger should not be underestimated: the EU has malcontents across the continent, and even pro-EU leaders can find themselves consenting to plebiscites against their better judgment. After all, David Cameron only pledged a referendum on Brexit in January 2013 as a gambit – ill-judged, it now seems – to placate restive Eurosceptics within his party. All of this comes at an incredibly bad time for U.S. strategic planners, who are in the midst of an ambitious “pivot” to Asia that they see as critical to safeguarding the international security architecture of the Western Pacific and the wider world. For them, disunity in Europe is an unwanted, costly, and tragically unnecessary distraction. Peter Harris is an assistant professor of political science at Colorado State University. He recently published All Brexit is Local in National Interest magazine.